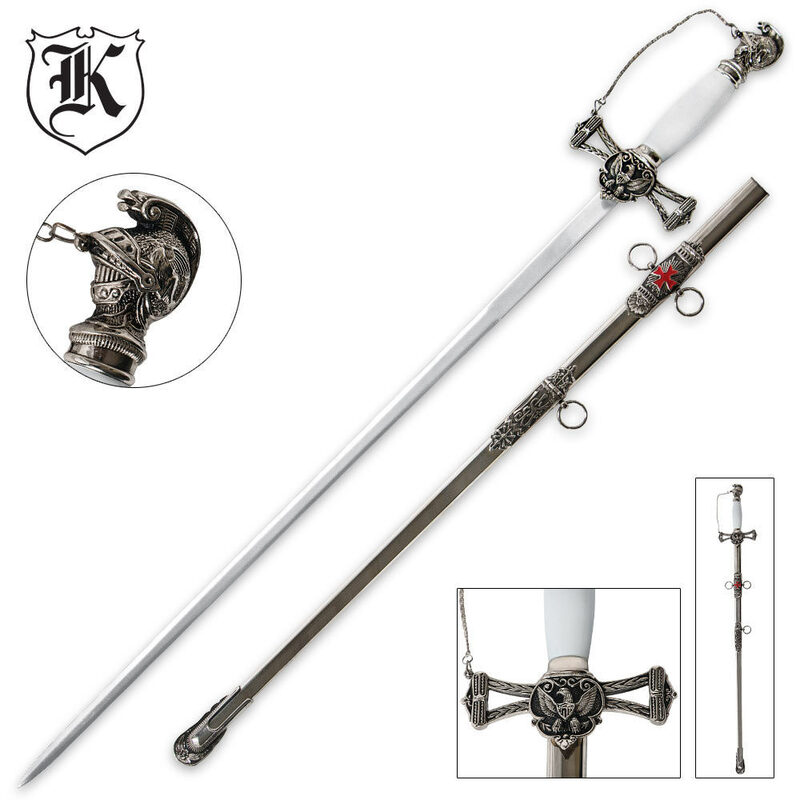 Stunning new production of the Knight Templar Sword. This sturdy model is crafted by hand using all metal materials with faux ivory handle. 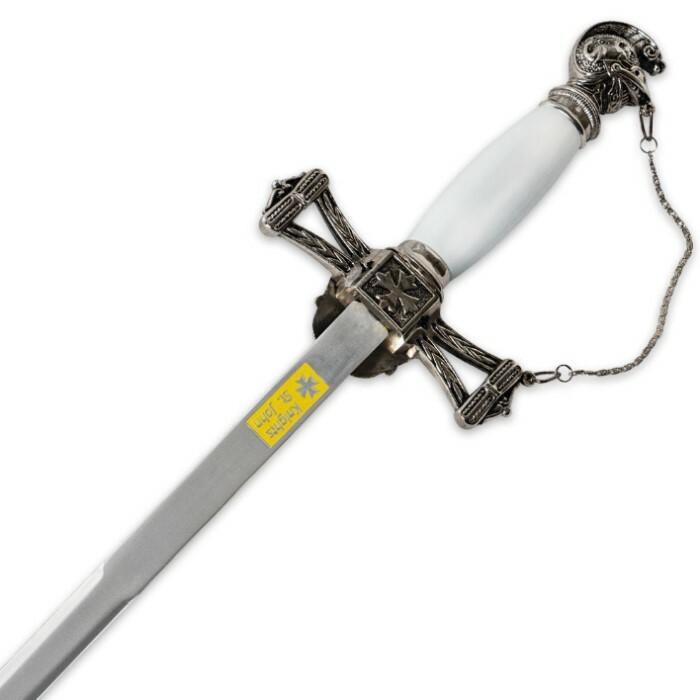 The most prominent features, an intricately detailed guard and crest with matching helm pommel, give this classic sabre a personality all of its own. A mirror polished, doubled edged 440 stainless steel blade stretches 26 3/4 in. The included polished stainless steel scabbard features cast accents, red Templar cross and rings. 26 3/4 in. blade, 33 3/4 in. overall. Fantastic sword. 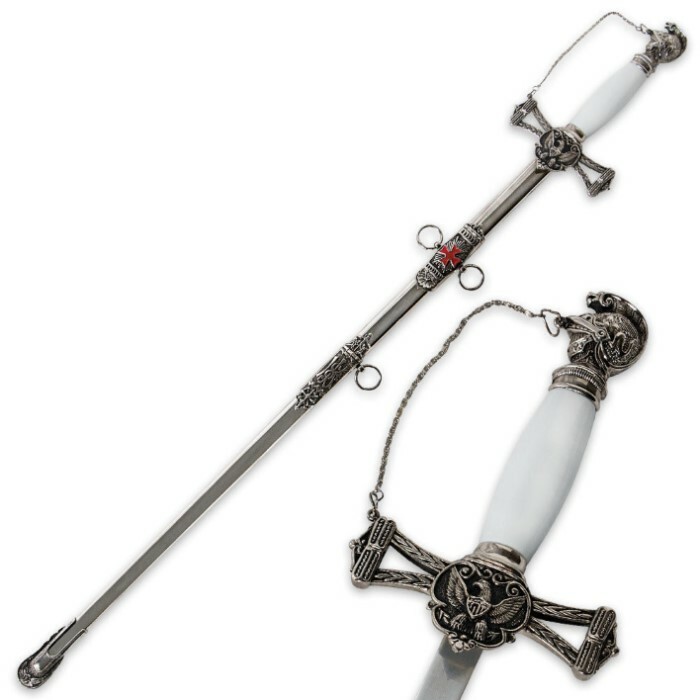 The blade fits the scabbard great, and the ornate designs on both the sword and the scabbard are awesome. The blade could be sharper, but the tip is sharp enough to do some damage.